Slightly more nutritious and she loved it! Eukanuba Maintenance dog food is a Huge Hit with my pups!! My dog has never been better! Liked it so much we tried more!!!! He likes the food, we love the nutrition! can't wait to buy some more!!! 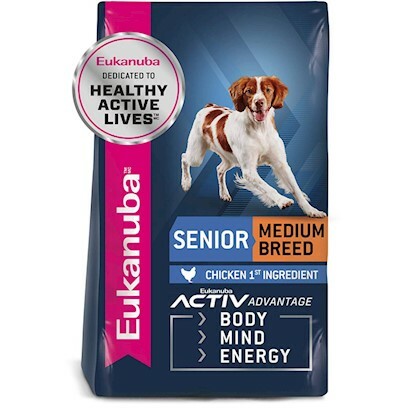 Eukanuba Senior wins the chicken dinner contest! BUYER BEWARE - Your pup may never be satisfied with another brand again! Wow Love the skip in his step! 2 Senior dogs acting like puppies to get a bite of this food! My dog loves this stuff! Lab and Border collie dislike Eukanuba! so far.. she's in love!